ADVENTUREOUS TYPES! NEW CALEDONIA AND OTHER MAGICAL SPOTS THIS SUMMER! Are you seeking a change this summer? Somewhere that offers some of the most diverse environments on earth? Discover the endless ribbon of the barrier reef in New Caledonia or experience the majesty of the French Polynesia in luxury. 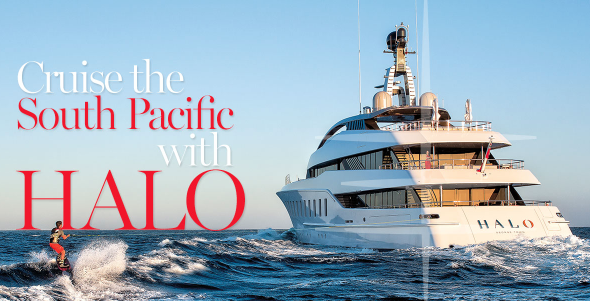 188ft MY Halo is an adventure yacht, spa, playground, and gym on the water – you name it! This summer she is available in New Caledonia - European excellence surrounded by turquoise waters and cream-colored beaches. Use the yacht’s kayaks to explore the waters of New Caledonia or the scuba gear on board to dive into the world of corals and shipwrecks. Enjoy sunset at happy hour at one of the many cafes on the long beaches. 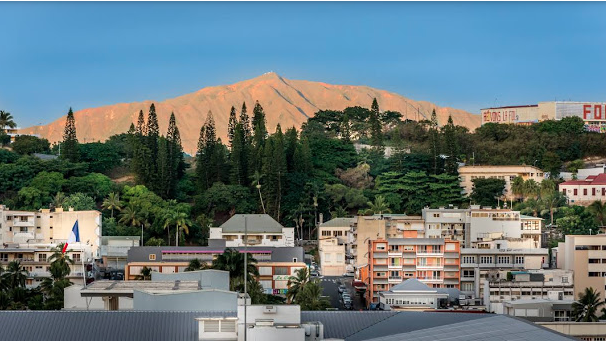 Visit Noumea, the Capital of New Caledonia, and discover the Kanak heritage and the French influences. 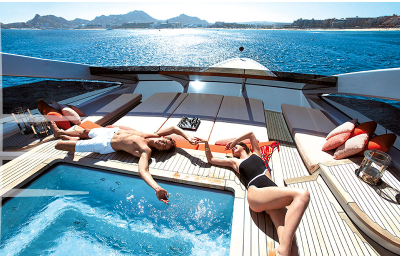 If you are looking for the French Polynesia - we have several yachts that can offer you an exquisite experience as you cruise through the Tahitian islands, such as 208ft luxury exploration yacht SuRi. Styled purely for the adventurous and “enter the world of unknown” types, you can discover the several islands of the French Polynesia, while anchoring in between cruising and snorkelling and swimming in the rich blue waters. Take the family into the most beautiful island in the world – Bora Bora – and explore the marine exhibit in the lagoon. Keep an eye out for movie stars that like to sneak in and stay anonymous. Visit the Marquesas, where thrill seekers will find dense jungles with gorgeous 1,000 feet waterfalls and sheer cliffs. These are just two of the islands you will encounter on your charter. 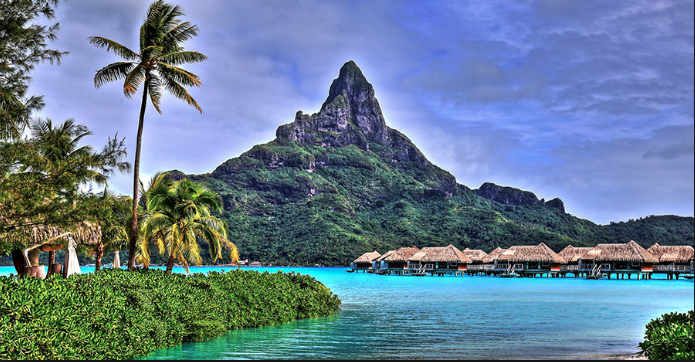 There are actually 118 islands that encompass the French Polynesia. Tahiti, the largest of the islands, offers several museums and historical waterfalls and the jungle like environment will make you feel as if you are in a different world. 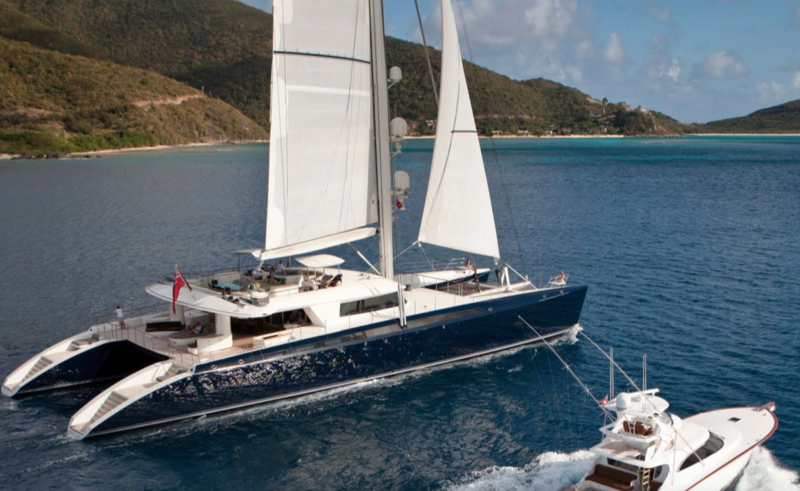 145ft Sailing Yacht Hemisphere can take you and your family through The Society Islands – Tahitia to Bora Bora and The Tuamotus; offering an engaging 16-day itinerary to keep you occupied on the several islands – from fishing and whale watching to swimming with the dolphins in Tuamotus. Tuamotus offers some of the best snorkelling and diving opportunities along the barrier reef. 201 ft Calypso will be in Belize through May, and then offering charters in Tahiti – a great option with the ocean as your playground; utilizing all the water toys offered on Calypso. Spectacular family friendly 129ft MY SilentWorld is available for June and July charters in the "richest aquarium on earth”. Seek an adventure this summer and let us help you plan the perfect trip! Offer the memories of a lifetime!